Someone told that he learned something new every time he listed to this talk by Leo Buscaglia, may God bless his soul, who inspired many with his life, knowledge, his presence and his wisdom. So I thought as I discover this famous man and learn from him, I am sharing with you. Its worth listening to his witnessing this great truth that is captured in the title of his talk, "What is Essential is Invisible to the Eye." The title is inspired by Antoine de Saint Exupéry's The Little Prince. 1. RIGHT KNOWLEDGE to supply you the tools necessary for your voyage. 2. WISDOM to assure you that you are using this accumulated knowledge of the past in a manner that will best serve the discovery of your present, your now. 3. COMPASSION to help you accept others, whose ways may be different from yours with gentleness and understanding as you move with them or through them or around them on your own way. 4. HARMONY to be able to accept the natural flow of life. 5. CREATIVITY to help you to realize and recognize new alternatives and uncharted paths along the way. 6. STRENGTH to stand up against fear and move forward in spite of uncertainty and without guarantee or payment. 7. PEACE to keep you centered. 8. JOY to keep you song full and laughing and dancing and all along the way. 9. LOVE to be your continual guide to the highest level of consciousness of which man is capable. 10. UNITY which brings us back to where we started, the place where we were at one with ourselves and with all things. So the study of love, has brought me to the study of life, to live in love is to live in life and to live in life is to live in love. To me life is God's gift to you, the way you live your life, is your gift to God, make it a fantastic gift. 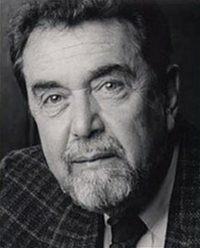 Felice Leonardo "Leo" Buscaglia PhD (March 31, 1924 – June 12, 1998), was an American author and motivational speaker, and a professor in the Department of Special Education at the University of Southern California.